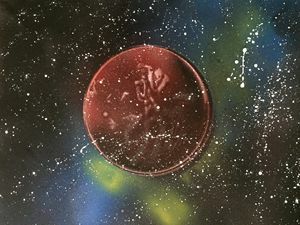 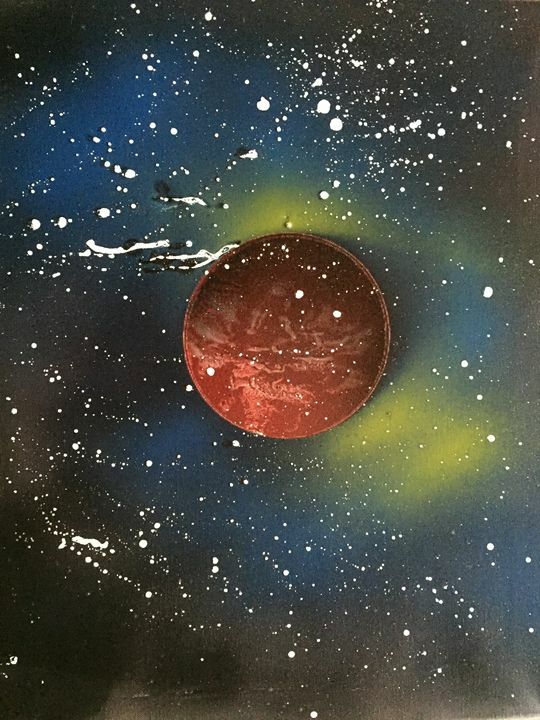 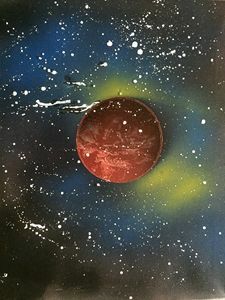 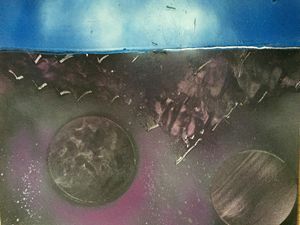 This picture is an original spray paint painting created by Hannah Fetters. 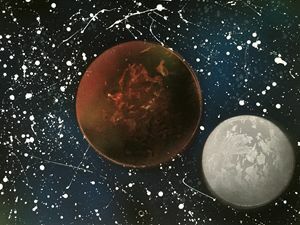 The painting includes one planet and stars. 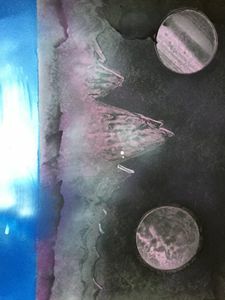 This is a horizontal painting but the site will preview it as a vertical painting.